The sheer size of it is overwhelming, It’s wingspan that of a jumbo jet. The first time I saw it rising up from the small fell I drew my breath in. “Wow! What in the world is that?” I gasped staring from the train window. “The great Angel of the North” a fellow train passenger answered. 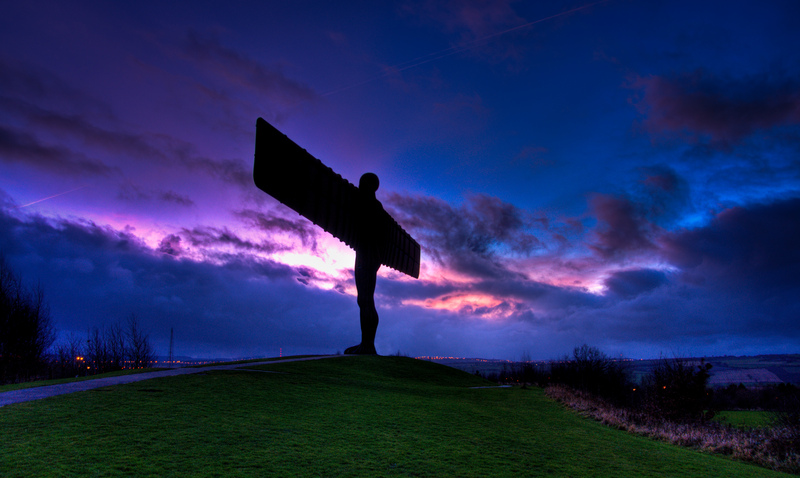 Since spreading its wings in February 1998 Antony Gormley’s The Angel of the North has become one of the most talked about pieces of public art ever produced. This magnificent sculpture has become a symbol of this area. There is even a bus line named after the Angel. A images of the outstretched wings remind County Durham residents that they are home. The Angel can be seem from the A-1 motorway and from the train. This is the size that I love to picture the angels of heaven, awesome warriors with wings outstretched protecting us and lifting praise to God.